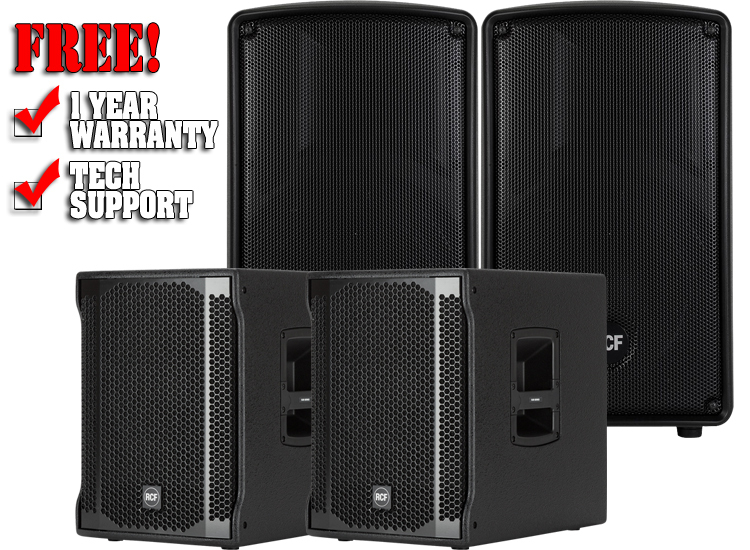 The RCF Team always has the performer’s needs at the forefront of the design in order to create new lines of speakers with renewed features, improved sound clarity, and definition and even lighter weight systems. High-quality materials, precise manufacturing, careful assembly and extensive quality control procedures complete the groundbreaking design work of the RCF R&D team. 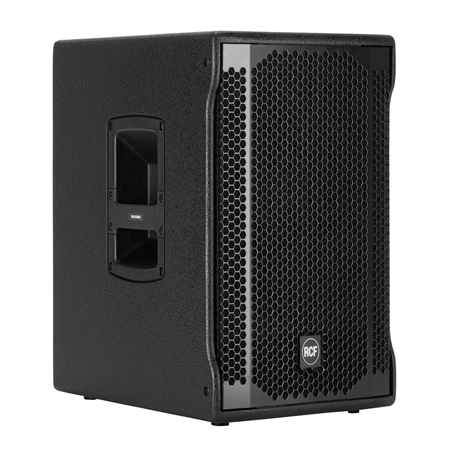 D-LINE cabinets are molded on a special polypropylene composite material designed to dampen down vibrations even at maximum volume settings. From molding to the final texture, D LINE offers the maximum reliability and strength for the intensive use on the road. The reflex porting has been resized to offer a better efficiency. The HD 10-A is equipped with a top handle and a side handle with rubber handgrip for greater portability; the HD 12-A features 3 ergonomically designed forged handles with rubber handgrip, 2 on the sides and one at the top. At the bottom, a rugged steel pole mount has been installed in all models. The new cabinet shape will allow every D-LINE model to be used in the standard configuration as well as in stage monitor model. Two M10 and 3 M6 threaded inserts are provided for optional mounting hardware in Installed Sound Applications. 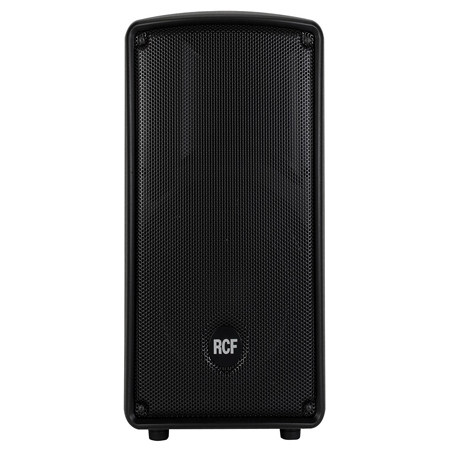 RCF Class-D power amplifiers technology packs huge performance operating with high efficiency into a lightweight solution. D-Line amplifiers deliver ultra-fast attack, realistic transient response and impressive audio performance. The amplifier features a solid mechanical aluminum structure which not only stabilizes the amplifier during transportation but also assists in the heat dissipation. All the D-LINE amplifiers present SMPS power supply section in order to produce maximum output and minimum transportation weight. The integrated DSP manages crossover, equalization, soft limiter, compressor and dynamic bass boost. A useful Mic/Line switch to adjust the input sensitivity is provided. When used just for speech, the Mic setting allows using a microphone directly with the speaker. Set the selector to Line when using the speaker for live music or playback. An easy to reach volume knob on the back allows setting the overall volume of the speaker according to its application. Woofers and Compression Drivers are precision built in our factory in Reggio Emilia, Italy, taking advantage of RCF’s superior molding, assembly technologies and a wealth of professional knowledge and experience dedicated to achieving extremely high standards. The RCF Precision transducers equipping D-LINE have been representing for decades the ultimate performance, the highest power handling, and the most advanced technology in the professional and touring industry. All Compression drivers and Transducers are precision built taking advantage of RCF’s superior molding, assembly technologies and a wealth of professional knowledge and experience dedicated to achieving extremely high standards. 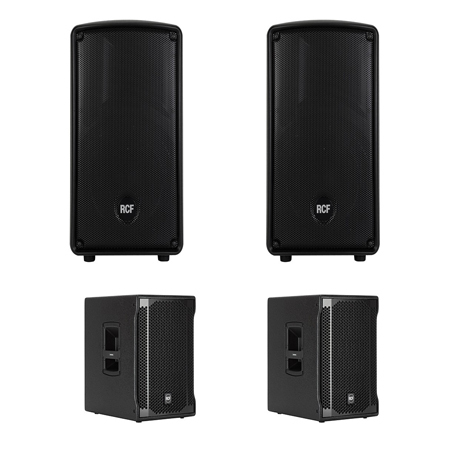 The built-in digital stereo crossover with adjustable crossover frequency allows SUB 702-AS II to be easily and quickly set up as a sub-satellite speaker system. Two selectable equalizations to experience the extremely deep response and precise low-frequency control.